Simon Crisford and De Sousa team up in the opener and we believe MOKARRIS holds much stronger claims than the market suggests. He was a very talented 2-y-o, being thrown into the Coventry Stakes on just his second start before bolting up in a listed event at Newbury. This is all very solid form, but he then took that to the next level, finishing a staying-on second to one of the best on the planet; Blue Point. Things clearly haven’t gone to plan with injuries since, suffering a 221 day-break followed by a colossus 640 day stint off the track. He is now back though, and it is interesting that such connections have persevered for so long with them often shipping horses with similar profiles off to smaller connections for cheap. He’s been sharpened up for this having brushed off the cobwebs at Lingfield and if retaining any sort of ability should go close. Another point to note is his liking for straight tracks - he has six career starts on turf and they have all been in the same configuration. Crisford evidently thinks this track will suit. This horse has clearly been frustrating for connections, going off favourite or second favourite in seven of his nine starts, winning just once. Despite this, it is hard to get away from his half-length second to Corrosive on return to racing at the start of last season. He was well backed (always a good sign for yard) and given a few extra yards would have won the race. Corrosive, who just held on, subsequently ran numerous big races in the summer’s top handicaps, holding the form in good stead reaching a mark of 94. Our selection is fit from a couple of runs on the all-weather and should find even more progression as a 3-y-o (Half-brother improved form). Roger Varian has won this race with an odds-on favourite two of the previous three years, but at 8/11 we are happy to oppose Sharja Bridge with 10/1 shot Red Starlight. At the foot of the weights, Richard Hannon (who has also won this race before) looks to have a big chance of reaching the frame with his charge. She has an impressive 50% strike rate over 1m and will handle the good ground. To add to this, if you think Auxerre holds claims in the feature handicap, our selection had him a length behind when winning at Newmarket in June. 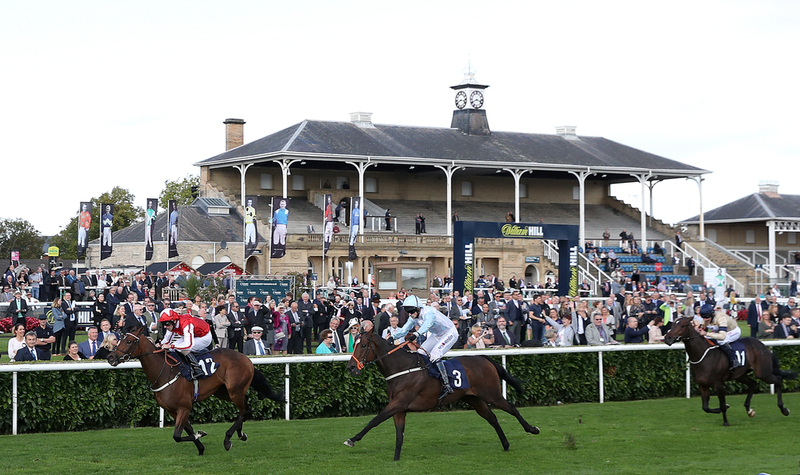 We have two big e/w pokes in the traditionally tricky Lincoln Handicap. Firstly, Beringer, who will relish the drying ground looks to have a bigger chance than his quoted 20/1 suggests. It is a slight concern that he doesn’t have much experience in bigger fields but his form stacks up nicely (2nd to Wissahickon) at York and he has the services of the Doncaster maestro; Andrea Atzeni. Secondly, Silver Quartz, who finished 11/13 in the trial for this race at Wolves will be much more suited by this track. He has never placed on a left-handed track (0-3), which is a complete contrast to his straight track record (2places, 1win, 1unplaced). He also has some decent form to his name beating the trial victor Zwayyan at Ascot in September. This came on good ground over the same trip and he is also now better off at the weights so you’d fancy him to maintain that form. Previous four winners of the race had double figure draws (Beringer stall 11 & Silver Quartz 20). Hugo Palmer’s big Dubawi colt was smashed up on debut where he finished third and should put his experience to good use under Adam Kirby here. These races are tricky at this time of year with plenty of unknown quantities, but he has the race advantage over many of them and will appreciate the increase in trip having finished strongly over 1m at Kempton. Phil Kirby has his team in unbelievable form and STAPLEGROVE, a well-bred gelding formerly of John Gosden looks well in off a reduced mark of 74 on his second handicap start. His latest run can be ignored (sent off 50/1 on his first start for a year), and if producing something similar to his earlier form will go close. At a massive price CONTRAST is worth an e/w play. It’s been downhill since leaving Richard Hannon, subsequently slipping 27lb in the handicap but if he can bounce back to any sort of form he could run a big race - especially with the services of talented claimer Scott McCullagh, who shaves off a further 3lb.